Summer time is a great time for ice cream! My children love eating Popsicle's & I really enjoy making them! I'm so happy with the way these turned out, a little bit of the red Jell-O did get into the blue, but not to shabby for my first time making these! I can't wait to try different flavors! 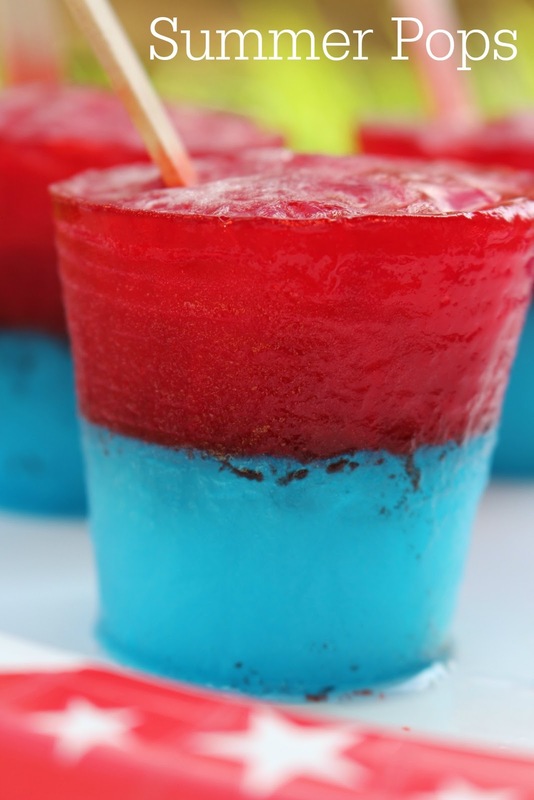 While your Jell-O is still liquid (after the mixing water & stirring step), pour it into your small cups. So for example, I did blue first, let it freeze, then made the red & poured it in the cups, then let it freeze for 4 hours. 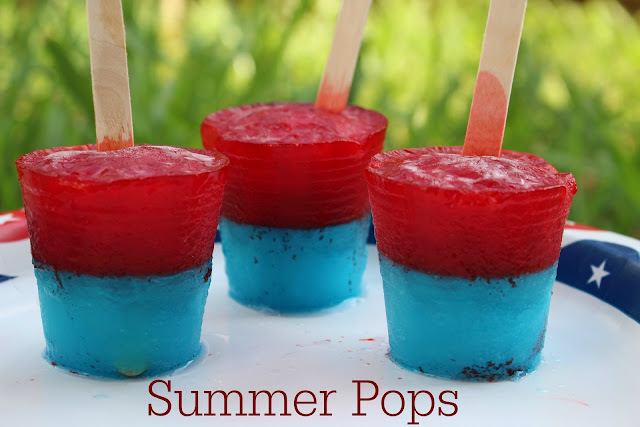 These Summer Pops are super easy & delicious for everyone! Great treats to take to your holiday cook out or to enjoy while your watching the fireworks this summer!